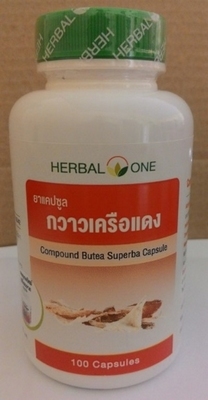 Butea Superba is a Herbal Plant that is indigenous or native to Thailand. It is a Vine like Plant and is found growing deep within the density of forests in the Northern to North-Eastern most regions of Thailand. The distinguished rejuvenation properties of Kwao Krua have long been known to the local people. For Hundreds of years Kwao Krua has been used it as an Essential Ingredient of Traditional Thai Herbal Medicines and is regarded as the National Identity of Traditional Thai Medicine. The majority of the Nutrients are found in the large underground Tuberous Root System and are used to promote good Health and Beauty, without any known Side Effects ever been reported. Over the years, Researchers and Academics from all around the World, have combined their skills and knowledge, with the wisdom of the ancient Thai People and have Scientifically revealed many of the hidden Secrets and the Miracle of this remarkable Natural Resource. Butea Superba is a very effective and a very safe to use, 100% Herbal Product. 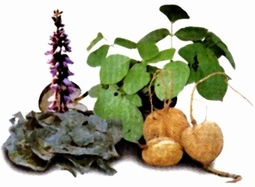 It contains very Unique Healing Properties and is suitable to be used as an essential Ingredient in Traditional Thai Herbal Medicines or as Food Supplement or used in Cosmetics. Butea Superba is best suited for Men and is very high in Phytoandrogens, which imitate Male Hormones. These and are useful for regaining bone and muscle strength, agility, restoring hair colour and improving sexual desire. It contains Flavonoids and Flavonoid Glycosides which aid with cardio-vascular functions.